We’ve all heard the proverb that starts “For want of a nail…” It illustrates how the simplest of things can have a dramatic impact. 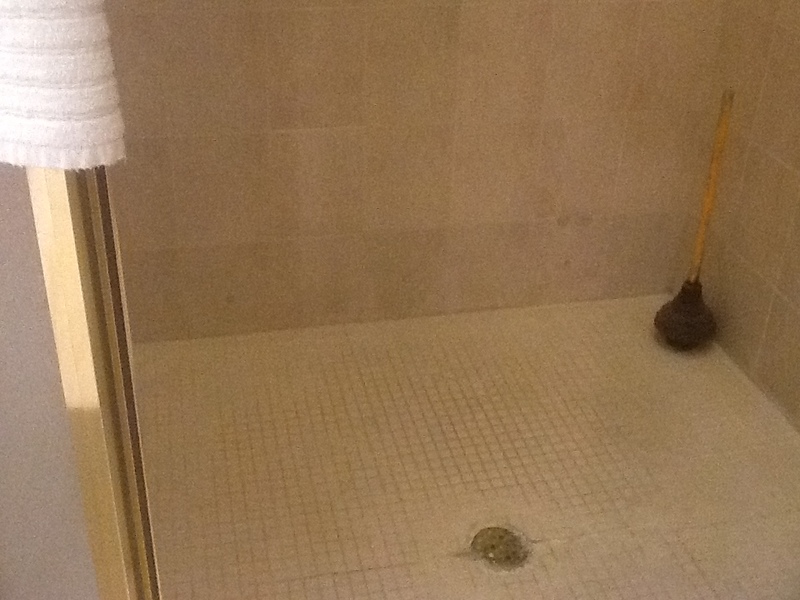 In this case, a simple, far-too-common mistake at the beginning of the original shower installation led inevitably to the failure of the shower, and a costly replacement. Mold kept returning despite repeated cleanings. Once we removed the tile, we found a flat pan. With no pre-slope to the shower floor before the pan liner is installed, water builds up in the mud bed and mold is inevitable. It’s no longer a matter of ‘if’, but a simple issue of ‘when’ the shower would fail. At first glance it was obvious this shower had issues. 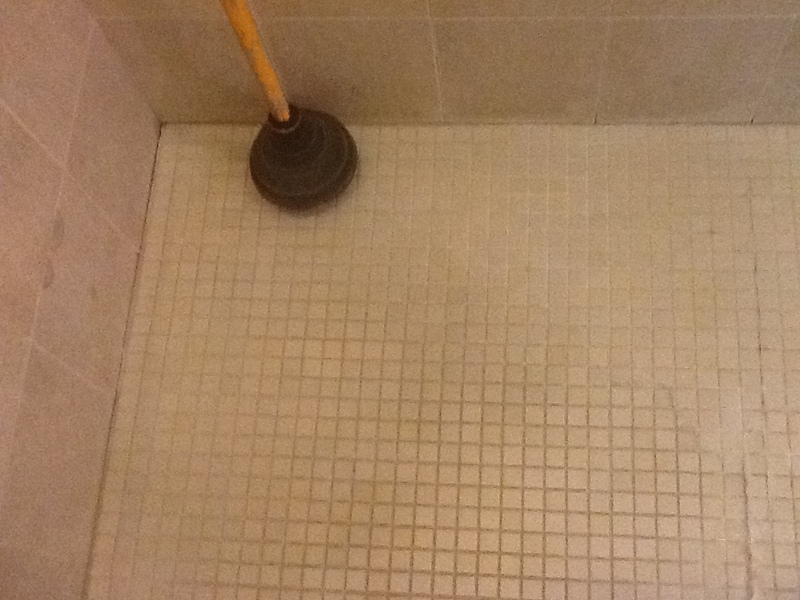 Look close, the bottom row of tile was darker than the rest of the shower. That’s a strong indicator of mold growth. 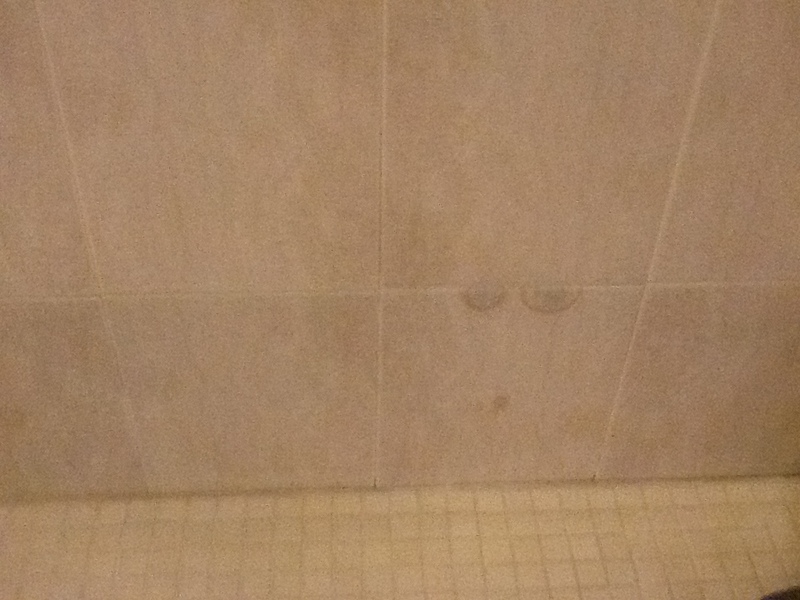 It’s got to be pretty bad to stain completely through the tile. 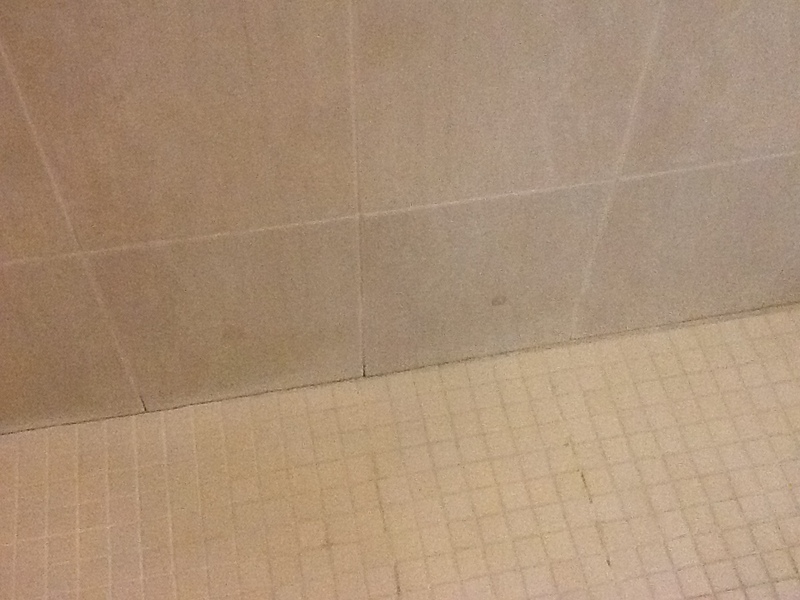 The shower pan had a multitude of cracks which had been repaired with silicone caulk. It had odd spots on the surface of the tile. What were they? Nail heads that had rusted so badly they had stained the tile completely through from the back to the front. The signs were there, and ignored for too long. Don’t let this happen to you. Call in the pros, The Shower Pros!